Seeking anyone of the 380th Bomb Group who knew T/SGT. 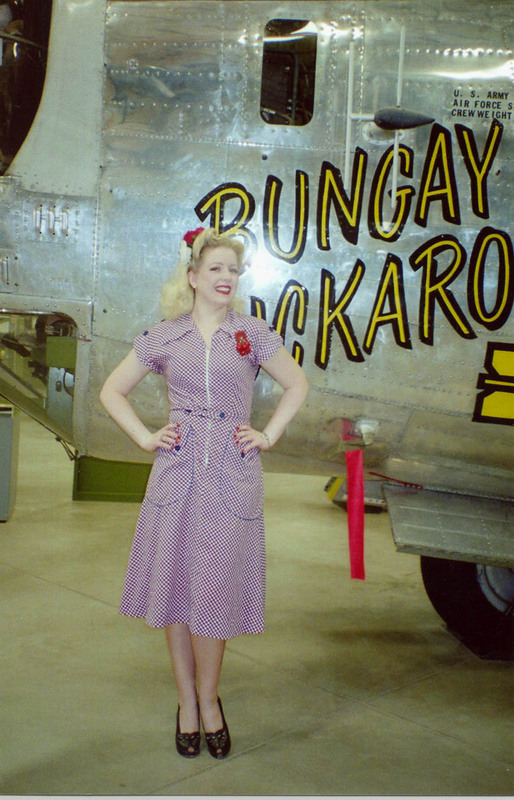 ORAL E. ROGERS, who was a aircraft mechanic assigned to the 380th. He was originally from West Virginia, and went to the southern Pacific (New Guinea & Philippines) in November 1944 and returned from there in October 1945. Mr. Rogers was my great-uncle, and was killed in an automobile accident in April, 1946. I am writing a history of the Rogers family. "I would like to say at this time as to why we never hear about any enlisted ground men. I know, or did know, a lot of ground personnel that received injuries because of the war. I for one received injuries from shrapnel during a bomb raid at Fenton Field as well as others. One of the raids were when they hit the gasoline storage dump. Our tent where we lived was only about 150 yards from the gas dump. Six of us lived in the bomb dump until we were ready to move from Australia to Mindora. There is more to be told and I would like to hear from some of these ground men other than the pilots and co-pilots and their missions. Enlisted men were involved in these missions too." Editor's note: We publish all stories that we get, regardless of rank. Roger Caputo's memoirs that began in the last issue and continue in this one are from the ground crew perspective. We look forward to receiving more war stories that we can print in future issues! Ed Walford, Navigator, Sears' Crew, 531st Squadron, and his son flew to Tucson last May. His son rented a Cessna 180 which he flew and Ed navigated! He sent the following pictures from that trip from the Pima Museum. One is of Ed and one is a reincarnation of his Australian girlfriend (actually, a professional model who happened to be there on a WW2 photo shoot!). 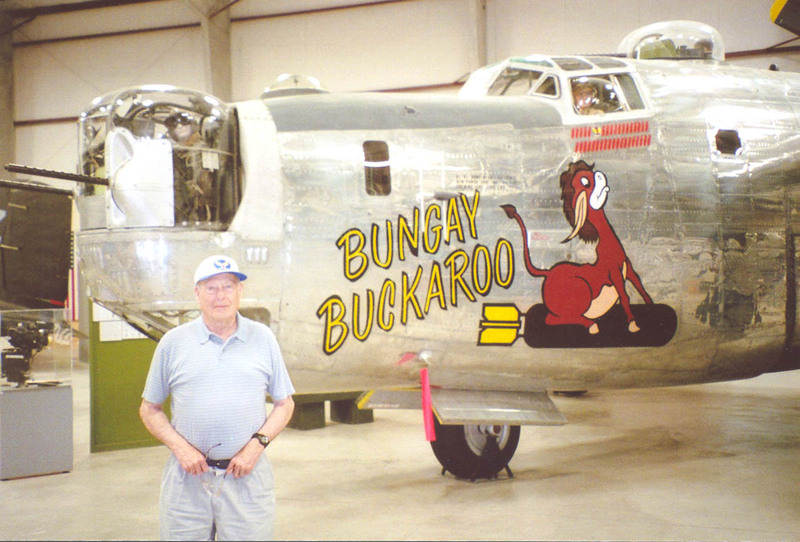 The tail insignia were hanging in the B-24 hangar. 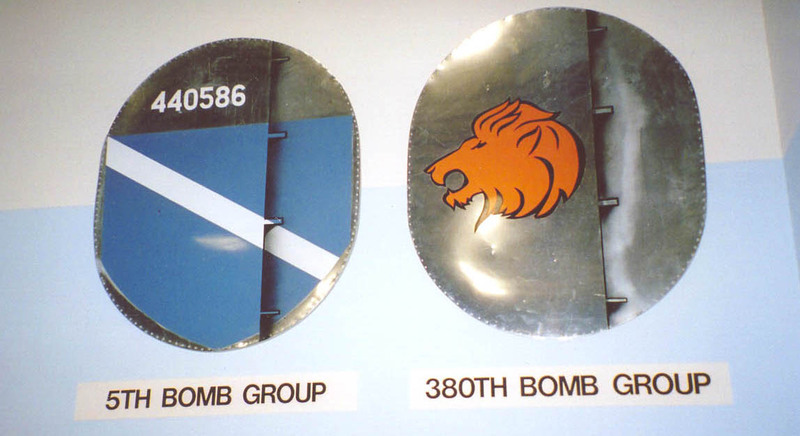 Ed questioned whether the 380th insignia is correct; it is, although it is an incorrect replica of our last tail insignia. The lion was to represent "King of the Heavies," our last motto. There was a series of rudder markings, one for each squadron, which are missing here.